Our Wool Hunt ran from 13th – 15th May 2014. Click here to see our blog post about the holiday. Sign up to our newsletter to be kept up to date with our latest plans at Knit for Peace. Buy designer and everyday yarns at hugely discounted prices (we’ll even provide you with a sack to take your yarn home in!). 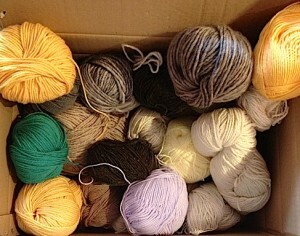 Buy unusual yarns of every conceivable type, including undyed wool. Rare opportunity to visit a spinning mill (to see the whole process). Make new friends! We pride ourselves on our friendliness. Bradford based, at the Hilton Hotel. 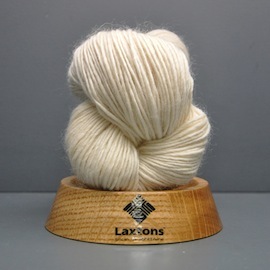 We’ll visit Laxton’s Mill, 3 discount yarn stores, a historic haberdashers and a wool warehouse. We will visit Saltaire and Salt’s Mill and, depending on time, perhaps drop in to Ilkley or Haworth (depending on preference) for tea. Erika Knight, our favourite knitting designer/teacher, will be on hand to provide advice and encouragement and will be holding knitting clinics for those with problems. £295 (includes 2 nights B&B at the Bradford Hilton Hotel* and travel from Bradford to the various sites). If you would like to be notified of future Knit for Peace holidays, please indicate this on the booking form. Book now to avoid disappointment. Places are limited. *Based on shared double room. Single room supplement £30 per night extra.